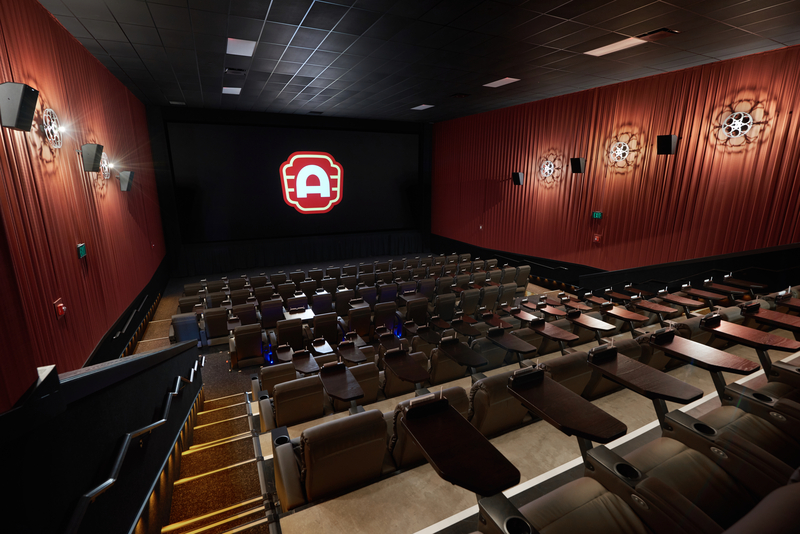 Dallas-Ft. Worth, Texas (April 17, 2018) – CinemaNext, one of the largest specialists in cinema exhibitor services in the world (Ymagis Group, ISIN: FR0011471291, TICKER: MAGIS) and Texas-based movie theater company Alamo Drafthouse Cinema, today announced the signing of an agreement for the installation of the revolutionary EclairColor HDR (High Dynamic Range) at ten locations in Texas, Arizona, California, Colorado, Missouri, Nebraska, New York and Virginia. EclairColor is a HDR solution that combines a mastering process and select projection system technologies from Sony Digital Cinema 4K and Barco, available through CinemaNext. It provides cinemas with unparalleled image projection technology. All types of cinemas – independent movie theaters, regional chains and giant exhibition circuits -, regardless of their screen size, can be equipped with EclairColor HDR. The equipment can be used to run EclairColor mastered content as well as standard DCI content. To date, a total of 126 cinema auditoriums have been equipped with EclairColor including 59 in Germany, 54 in France and 3 in the United Kingdom. CinemaNext North America offers cinema exhibitors a wide range of products, services and integrated software solutions and aims to be a highly-attractive alternative to existing solutions on the US market. Global service points for projection and audio systems, installation and maintenance have been established to address cinema exhibitors’ needs with a strong network of technicians across six US regions: Northwest, Southwest, North Central, South Central, Northeast and Southeast. CinemaNext North America is the US branch of CinemaNext, the largest cinema exhibition services company in Europe with 29 offices located in 26 countries. Founded in 1997, Alamo Drafthouse has been heralded for unique programming events and high exhibition standards, earning accolades including “Best Theater Ever” (Time Magazine) and “The Coolest Theater in the World” (Wired). Alamo Drafthouse provides a unique combination of theater and restaurant, showing first-run movies, independent films and special events with an extensive menu made from scratch. Guests order all food and drinks from servers who quietly attend to them throughout the movie from inside the theater. CinemaNext and EclairColor are registered trademarks of Ymagis Group. The Alamo Drafthouse Cinema was founded in 1997 as a single-screen mom and pop repertory theater in Austin, TX. Twenty-one years later, with 31 locations and counting, the Alamo has been named “the best theater in America” by Entertainment Weekly and “the best theater in the world” by Wired. The Alamo Drafthouse Cinema has built a reputation as a movie lover’s oasis not only by combining food and drink service with the movie-going experience, but also introducing unique programming and high profile, star-studded special events. Alamo Drafthouse created Fantastic Fest, a world-renowned film festival dubbed “The Geek Telluride” by Variety. Fantastic Fest showcases eight days of genre cinema from independents, international filmmakers and major Hollywood studios. Alamo Drafthouse’s collectible art gallery, Mondo, offers breathtaking, original products featuring designs from world-famous artists based on licenses for popular TV and Movie properties including Star Wars, Star Trek & Universal Monsters. The Alamo Drafthouse Cinema is expanding its brand in new and exciting ways, including partnering with the film distribution company NEON, Birth.Movies.Death., an entertainment content platform for movie lovers, and the American Genre Film Archive, a non-profit film archive dedicated to preserving, restoring and sharing exploitation-era film.